In August of 1944, J.Z. Thomas came to Dublin and opened Thomas Service Station & Garage. 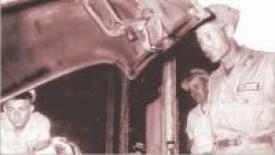 By using a business plan of "Service First", He grew the business to include an auto parts supply store, Dublin's first front end alignment shop, and a full service machine shop which all are still in operation today.